When last your author touched on the DNA issue, it was shortly after having received the initial test results in a column published October of 2016. At that time, my first listing of all matches totaled a bit over 400. Today that number of matches has increased significantly: 410 Shared Matches (these are the matches where the person whose test matches mine has a tree attached to the test and both their tree and mine reflect shared ancestors); and nearly 3,000 matches that indicate we are 4th cousins or closer but with no Shared Ancestors in our trees. As these Shared Matches surface, I routinely check the comparison charts and use the Add Note feature on that person’s profile to show how our trees indicate we are related. For the matches that merely reflect a relationship of 4th cousin or closer, I use the Search features to check for surnames, peruse the other person’s tree to attempt to determine where we may share ancestors and then use the Add Note feature to capture my findings. Ancestry also offers a Location search feature that may help to pin down relationships. “…not all members of the Circle have DNA linked to EVERY member of the circle; however, each member is SOMEHOW linked to other members of the Circle and – most importantly – each member’s DNA is linked to a family tree that shows direct descent from a Shared Surname Ancestor. The subject matter of this column is the feature offered by Ancestry they term New Ancestor Discoveries. Notices of these discoveries arise when my DNA matches to a number of others’ test results where they share a common ancestral lineage to a person whose profile is NOT listed in my tree. Thus, the possibility of exploring how I am (most likely) related to their Shared Ancestor. In October of 2016 I had received notification of three prospective ancestral lines: William S. Strawn (Straughan, Straughn) (1812-1870); John William England (1825-1911), and, as it turns out, his wife, Sarah Wilson Gold (1835-1908). In order to document my findings as I attempt to tie these prospective ancestors into our family tree, I shall devote a section to each. This is merely an introduction and an attempt to begin the compilation of facts and clues with ongoing research to possibly be revealed in future columns should the relationship be ultimately confirmed. I am, in fact, a direct descendant of the DNA Circle ancestor. Descendants of an ancestor often inherit pieces of DNA from that person and may share those strands with other descendants of the same ancestor. If enough matches have been discovered to create a DNA circle and my test matches several of those tested, I will receive notice of a New Ancestor Discovery. I may be related to others in the DNA Circle through marriage or a collateral line. For instance, the DNA Circle shared ancestor may be my 3rd Great-Aunt or maybe the ancestor was married to that 3rd Great-Aunt. In other words, the matches in the circle may occur because we have a DIFFERENT ancestor in common. Thus, it appears prudent to first review the tree linked to the highest probability match in the DNA Circle to see if names and locations provide a clue; next, review the Shared Surnames listed for each of those to see if a collateral line may have produced this clue; and perhaps add the prospective person to my tree, collect the various hints available and begin researching the possibilities. Ultimately it is hoped the link may be clearly established. 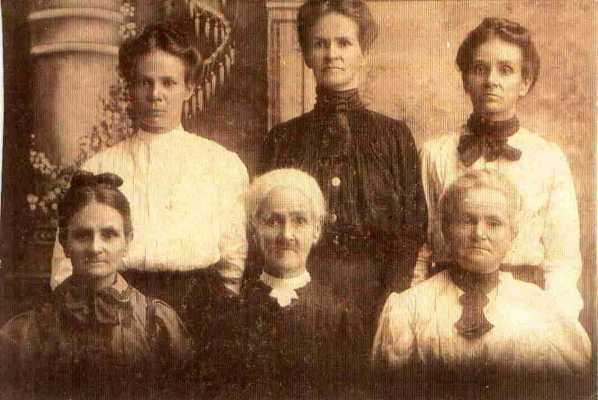 DNA evidence suggests that you're related to a group of Sarah Wilson Gold / John William England descendants. And because your DNA matches people in the group, there's a good chance you're also related to Sarah Wilson Gold and/or John William England. In the case of John William England’s DNA Circle, I am related to some members of the 5-member group calling themselves the “John William England Family Group” and these five members are shown to be DNA matched to virtually every other member of the DNA Circle, although I am only related to two other Circle members, an individual and some member of another family group consisting of 3 members. The DNA Circle membership totaling 20 consists of a total of eight (8) linked DNA matches. Of these 8 Circle members, there are 4 single person matches (including me) and 4 member groups (the 5 member group previously mentioned, two groups of 3 members each and a fourth group consisting of 6 members). My DNA matches only 4 of the 20 persons represented in this Circle. Until last month, I had no clue as to how John William England might be related. However, my research into Joshua Logan Younger revealed another researcher believes his mother was … Sarah ENGLAND (not KENNARD as has been accepted by most Younger researchers for decades). This researcher bases her belief on documentation that indicates Sarah Kennard was yet a minor when named in her father’s will at a time when Younger historians place her as the wife of John Younger father of Joshua Logan Younger. This certainly bears closer scrutiny. Although this researcher has a tree for her own England ancestors, she does not indicate this Sarah England Younger is related to that branch. Another possibility is the Elizabeth Bagshawe England who married into my Westcott family line. Elizabeth (b. 1604 d. 1684) married William England (b. 1612 d. 1683). She was also wed to one Hugh Parsons and their daughter Hannah Parsons married Henry Matteson and bore a son Thomas whose daughter Mary wed Thomas Joslyn after her first husband David Vaughan perished. The union with Thomas Joslyn produced William Joslin (b. 1701 d. 1771) known as William of Deerfield. This is our Joslin line. There are issues with the Matteson parentage in my tree so this line of inquiry will require extensive research. To further complicate matters, one should by all rights consider the shared surnames for the actual DNA matches to see if these lines actually provide a common link. In the England DNA Circle I match to 4 of the 20 named members. For purposes of protecting other persons’ privacy, I will not name the individuals. However, England Match 1 is an individual and the surnames we share in common are Davis and Gray, The Davis lines do not look promising as neither names nor locations match up. The Gray line is a possibility in that her Dorcas Gray (B: 1790 in Camden County, North Carolina and D: 1840 in Lincoln County, Missouri) while my Rebecca Jennie Gray (B. 1 Jan 1768 in Burke, Guilford County, North Carolina and D. 1851 in Clay Township, Wellington, Lafayette County, Missouri). Rebecca was my 4th Great Grandmother, married to Thomas Hopper, Sr. The other DNA matches in this Circle have so few profiles in their individual trees it would be pure speculation to attempt to locate a shared ancestor, collateral or direct. For Sarah, there is a wealth of information compiled from 169 family trees that I shall peruse. One DNA Circle member’s tree shows our Shared Surnames to be as follows: Davenport, Harrison, Hill, Jones, Keller, Lewis, Lowe, Morgan and Russell. These will need to be checked for dates, locations and possible matches. One item I always love to find is a photograph, this one is of Sarah and her daughters although they are not named. In this case my DNA matches 7 of the 14 members in the Circle, 4 individuals and 3 members of a group. Examining the individual members produces some shared surnames but, thus far, no actual matches. However, one appears quite promising. My early scrutiny of William S. Strawn seems to indicate he is related as a descendant of a Browning on my maternal line. This individual’s tree and mine share these surnames: Browning, Bryant, Davenport, Davis, Evans, Lewis, Morgan, Sanders, Strother, Washburn, Wright. The Browning-Washburn connection is the probable match, although this particular individual has listed dates and locations of birth and death for his Nicholas Browning (m. Sarah Washburn) from those in my tree. I believe this may be reconciled by corresponding and comparing documentation. Another member’s tree reflects a relationship to Martin Davenport as does mine. In this DNA Circle, my DNA matches 3 of the 10 members. This is reputedly an aristocratic German line, extending back to Adolf Lazarus Von der Berg, b. 1675 in Berg, Ahrweiler, Rhineland-Palatinate, Germany. Adolf married the Princess Elizabeth Anna of Berg (b. 1680, d. 1722) whose father was Philip Weilhelm (b. 1654, Darmstadt, Darmstadt, Hesse, Germany, d. 1690) and mother, the Duchess Elizabeth Amalie Magdalena (b. 1658, d. 6 Apr 1695). Although the tree is somewhat convoluted, these “facts” will need to be scrutinized carefully. With one of the DNA match members of these Circles, I share 29 other DNA matches. One is my sibling; however, most of the other 28 have attached their DNA tests to no family tree, thus providing no help in identifying the common thread. Very helpful tool even though, in this case, it did not help. The second match in this group shares the following surnames (but no matches) with me: Davis, Hill, Jones, Shippee, Wade, Wright, Young (maternal line), and Younger (paternal line). The third match seems to point to Lowe as the line that may connect us. 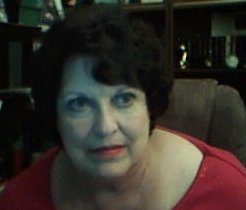 Several of the Shared Matches where this person’s DNA and mine match to the same third parties, have Margaret Lowe (wife of our George Hempleman Alexander). This will be a good starting point for research of this potential ancestral line. This compilation of factoids should point the way for your author to delve into the backgrounds of these individuals and attempt to determine how we are related. It is always good to have a plan of action that helps to focus your efforts and pinpoint areas of research. It is always a fascinating trip!